BRAND IDEA: Encouraging women to look beautiful and unique; follow their individual style and set trends for others to follow! TASK: To bring the end users closer to the brand and feel more connected and confident about using the brand. TG: Young Indian Women in the age group of 18 to 35 years. 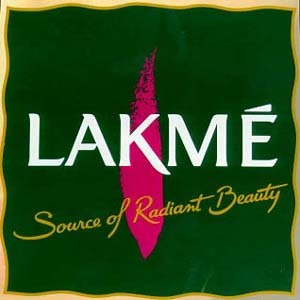 IDEA: India’s most renowned cosmetic brand – Lakme — has been a constant inspiration to Indian women to look beautiful and desirable. To further inspire its users, Lakme can initiate extensive customer engagement initiative wherein it would ask its users to create their best look using Lakme Cosmetic products and reward the best look as well as use this rewarded look as a signature look for the upcoming season. Lakme can initially launch this concept as a “CONTEST” in their website and support through tv ad commercials. Participants would be asked to send/upload pictures of the look created by them (and applied on a model off-course! ) on the Lakme website. Once these applications are screened and the best few chosen, the participants would be invited for a face off (literally!). They would be asked to create the look on a model, using Lakme cosmetics. The best look could be rewarded with special recognition from Lakme and the look can be used as a special look in the signature collection for Lakme’s upcoming season. PLACE: Initially Internet. Post prelims, face-off to be held as a contest at a Lakme signature salon. Good idea here…Customer engagement and participation is the key is the era of Customer centric marketing! I think this entire campaign would work better with well designed and executed Social Media support. And adds to the confidence of customers making them loyalists towards the brand, brilliant! The literal face-off really suits the Brand's Idea. Good One!